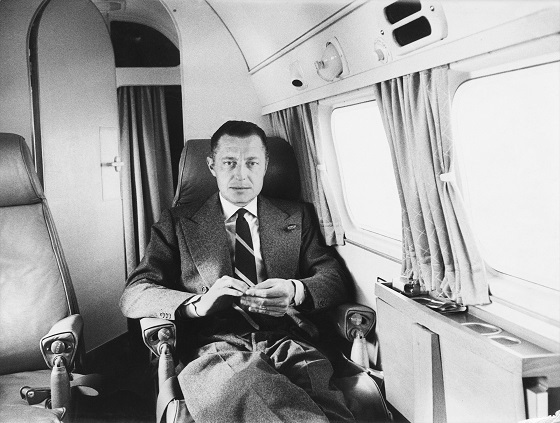 On December 18th, 2017, HBO will debut Agnelli, an intimate look at the inner life of industrialist and jet-setter who embodied prosperity and stability in post-war Italy: Fiuat head Giovanni "Gianni" Agnelli. Agnelli was Italy’s richest man and a stark symbol of its revival, who influenced the world with his lifestyle, individualism, and singular sense of fashion. Alongside portraits by Richard Avedon and Ugo Malas, the film will feature newly discovered Super 8 footage shot by Benno Graziani (b.1923), a reporter and photographer for outlets such as Paris Match and The Washington Times Herald, who likewise influenced the world by telling the story of its icons with his camera. Graziani's iconic black and white images of the stars of the fifties, sixties and seventies recall halcyon days when it was always sunny, the women were always beautiful, and life was good. 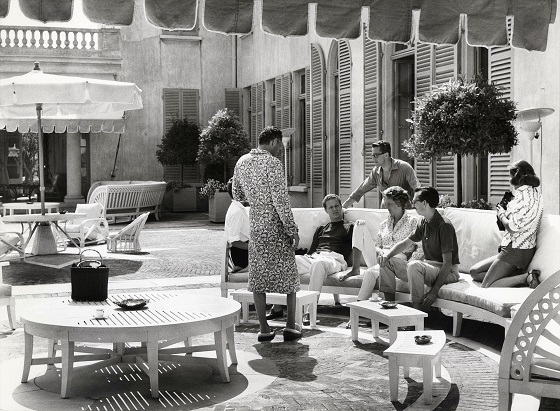 The legendary publication Paris Match encouraged the young photographers to "spend what you want" and "live like kings" on the condition they produced quality images. Graziani, the inspiration for Fellini's La Dolce Vita, was friends with some of the biggest celebrities of his era. Throughout an incredible career he became close to many stars; including Kirk Douglas, Charlie Chaplin, Audrey Hepburn, Jane Fonda, Brigitte Bardot and Princess Grace of Monaco, amongst others, and as such gained unprecedented access to their lives. Amongst his friends was Jacqueline Kennedy. 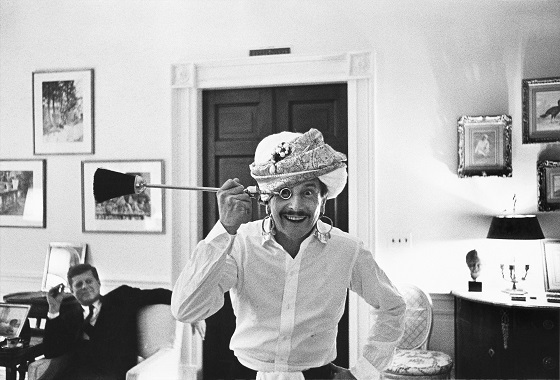 Having met as journalists when the American icon was known as Jacqueline Bouvier and worked for the Washington Times Herald in the 1950's, Graziani had the privilege of documenting the Kennedy lifestyle when she became First Lady. “Benno is a lot of fun, but he’s always got a camera in his hand,” President John Kennedy warned Clint Hill, assigned to the First Lady’s Secret Service. The President was concerned images of Jackie taken on holiday by her friend “Benno” would feature too many glasses of wine or skimpy bathing suits. 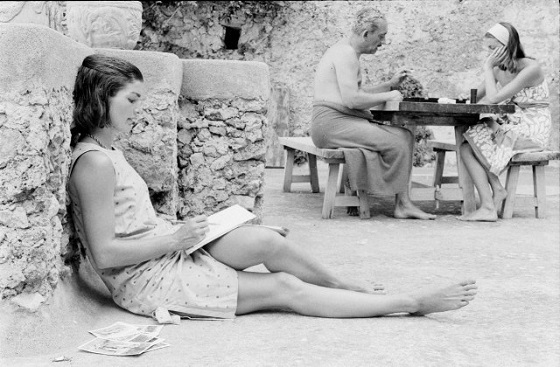 "She began as a reporter-photographer and led a truly exceptional life, a fairy tale transformed into Greek tragedy. Today she is part of history." Graziani has had solo exhibitions at the Metropolitan Museum of New York (2001), Musée des Arts Décoratifs de Paris (2001), DRKRM Gallery, Los Angeles (2013), Zeitgeist und Glamour, NRW Forum, Dusseldorf (2011), Pierre Bergé, Brussels (2010), Projection, Rencontres d’Arles (2010), Barclays George V, Paris (2010), Cassini Building, New York (2009), Hamiltons Gallery, London (2009), Christies, New York (2008), Le Bon Marché, Paris (2008), Hotel Royal Barrière de Deauville (2008), Galerie Photo12, Paris (2007). His monograph Collection privée: Reporting with style 1955-1975 was released in 2008. Agnelli will premiere on HBO at 8:00pm E.T.–9:50pm P.T. Graziani's biography, press articles, prints here. For vintage prints, contact Valerie-Anne Giscard d'Estaing. You have received this newsletter from PHOTO12 GALERIE.